Singapore Airlines has begun offering a farm-to-plane food concept designed to enhance its sustainability practices with the food and beverages passengers consume on its flights. 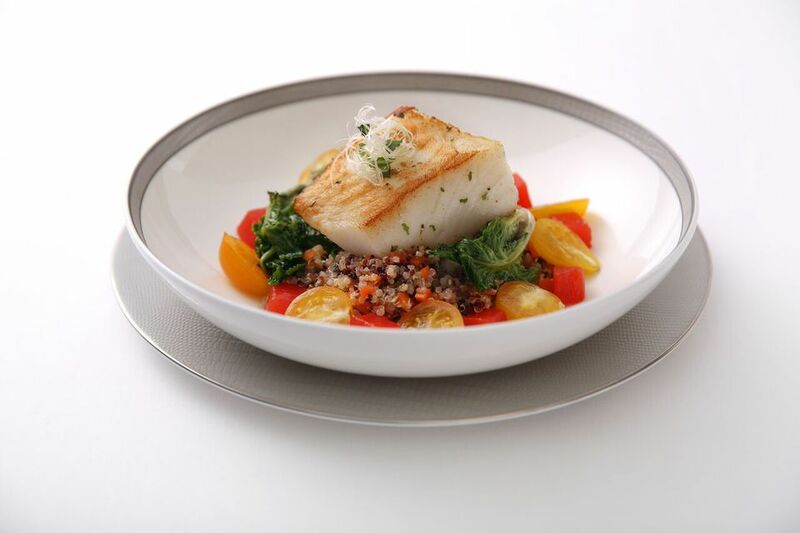 The airline already serves fish from fisheries certified by Marine Stewardship Council, a nonprofit group that recognizes and rewards efforts to protect oceans and safeguard seafood supplies, for its sustainable practices. It also committed to buy produce from local farms in all the countries it serves. In Singapore, the airline is partnering with the Kranji Countryside Association, a nonprofit organization that promotes local agriculture and the building of the country’s agriculture industry. The carrier’s International Culinary Panel (ICP) of famous chefs will create inflight menus using more sustainable ingredients and local produce from farms at its destinations, such as cherry tomatoes, pumpkins, green beans and lettuce. The new menus will initially be introduced to Singapore Airlines’ first class Suites customers on selected routes by the end of the year, and will progressively be made available to customers traveling in business, premium economy and economy class starting in 2018. Kenny Eng, president of the Kranji Countryside Association, is also director of the Nyee Phoe Group, a horticulture and agri-tainment business that runs recreational activities within the farm. Local farms that will partner with Singapore Airlines include Bollywood Veggies, the Kuhlbarra fish farm (which focuses on barramundi), Uncle William’s quail meat and eggs, the Hay Dairies Goat Farm and Kin Yan Agrotech, which grows organic wheat grasses, edible cactus, aloe vera, pea sprouts and a variety of mushrooms. Betty Wong is Singapore Air’s divisional vice president for the customer experience. “Being such a small country, most people may not know we have local farms,” she said. “Food source safety and security is a big interest for Singapore Airlines,” she said. “But our focus is also on what customers want on their flights and do what we can to meet their needs. We hope this new farm-to-plane food initiative, being done here and in other parts of the world, are what our customers want us to do. Australia, New Zealand and parts of Europe already use local foods in Singapore Airlines’ menus, said Wong. “We’ve also launched Deliciously Wholesome, our healthy eating program designed to offer passengers more meatless choices on their flights,” she said. Another large part of the farm-to-plane initiative is reducing food waste, said Wong. “We compost and are exploring to learn how to work with organizations like the Singapore Food Bank to see how we can donate our food,” she said. We’re in touch with a research think tank on finding ways to convert food waste to biodegradable wares. We’re also asking the stations in the cities we serve to reach out to local resources in their areas. As is common in the travel industry, the writer was provided with complimentary services for review purposes. While it has not influenced this review, TripSavvy.com believes in full disclosure of all potential conflicts of interest.